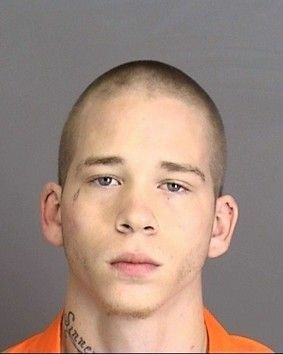 Tip Leads to Arrest in Person Who Stole the Box of Toys from Hungry Howies in Polk City. A tip called in to Heartland Crime Stoppers resulted in the arrest of Amanda Akins for stealing a box of donated toys in the Hungry Howies in Polk City. Akins was charged with Grand Theft and transported to the Polk County Jail. This tipster received $225.00 reward! The Heartland Crime Stoppers Board of Directors approved rewards totaling $2,580.00 to 12 Tipster for Janaury 2012. That is an average reward of $215.00 per person. A Student Crime Stoppers Tip to Heartland Crime Stoppers led to the arrest of another student who had broken into one of the classrooms at Sleepy Hill Middle School and took items belonging to the teacher. Based on the information received from the tipster, the student was identified and charged with Burglary and Grand Theft. Tips Leads to Arrest of Two in Burglary at Lake Gibson Middle School. A tip to Heartland Crime Stoppers resulted in the arrest of two (2) in the Burglary and Criminal Mischief at Lake Gibson Middle School. The pair were students at Lake Gibson Middle School who scaled a fence around the portable classrooms on campus around 10 pm, and broke out several windows to a classroom. One of the students then stole a fire extinguisher from a nearby location and discharged it into the classroom. The charges on the two include: Burglary, Grand theft of a Fire Extinguisher, Criminal Mischief, and Trespass on School Grounds. The Board of Directors of Heartland Crime Stoppers approved $1,440.00 in rewards to eight (8) tipsters, at their December 19, 2011 meeting. Seven (7) of the rewards were paid to students as part of the Student Crime Stoppers Program. Lakeland Police are going to participate in the candlelight vigil organized by citizensin honor of slain Officer Arnulfo Crispin. The Lakeland Police Departmentappreciates the outpouring of condolences and well wishes for Officer Crispin. The candlelight vigil will be held from 7:30 to 8:30 pm on December 21, 2011, in front of the Lakeland Police Department. Massachusetts Avenue will be shut down during this time period. Chief Lisa Womack will speak briefly to those present. The police vehicle driven by Officer Crispin has been placed in front of the Lakeland Police Department. Citizens in the community are invited to place flowers and other momentos on the vehicle in honor of Officer Crispin. Candles for this vigil are not being provided to the public by the Lakeland Police Department. Funeral arrangements for Officer Crispin are still being finalized. They will be released as soon as they are available. This information is also available on www.lpdonlinenews.com. The December 2011 Board of Directors Meeting has been changed to December 19, 2011 at 5:15 p.m. The meeting will be held at the Polk County Sheriff's Office Northwest Command, 4120 US 98 South, Lakeland, Florida. 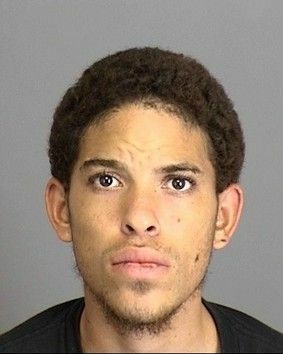 Three men remained in Highlands County Jail in lieu of in excess of $100,000 bond Friday after they were arrested in connection with a series of thefts and burglaries. Sebring Police Cmdr. Steve Carr said Friday the four individuals were believed to be involved in about 25 cases of thefts, home and vehicle burglaries over the last couple of days. No other arrests were expected. Jeffery Michael Devlin, 19, of 1422 Nan-Ces-O-Wee Ave., Sebring, and Joshua James Devlin, 23, of Port Charlotte, were both arrested on charges of two counts of burglary and two counts of petty theft. A third adult, Rolando Josue Lopez, 18, of 1426 Nan-Ces-O-Wee Ave., Sebring, was also arrested on charges of two counts of burglary of a conveyance and two counts of petty theft. 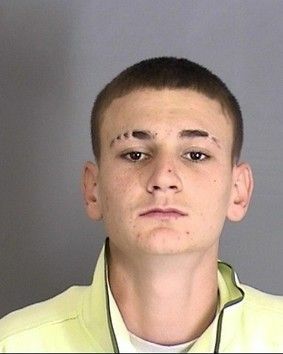 James Levi Meredith, 17, of 1330 Fernvale Ave., Sebring, was charged with burglary of a conveyance, petty theft and resisting or obstructing a law enforcement officer without violence. Police were called to the 3400 block of Lakeview Drive on a call reporting suspicious persons in the area. Police arriving on the scene spotted four subjects, all dressed in black, who ran toward Lake Jackson when they spotted the police. They were ordered to stop. Three of the four, the adult subjects, stopped and were detained, the arrest report stated. Police recovered a shopping bag and backpack containing several items, which lay next to the three. The items were later identified as having been stolen during a vehicle burglary on Lakeview Drive, the report stated. Police also found several items on the shoreline of Lake Jackson belonging to a Lakeview Drive resident, the report stated. According to interviews with two of the suspects, investigators reported the suspects were tied to car-fishing incidents around 11 p.m., Nov. 30, according to the arrest report. Car fishing is when unlocked cars are entered by potential burglars looking for loose valuables. Carr said numerous other charges were pending as the investigation continued. A Tip called in to Heartland Crime Stoppers lead to the identity and arrest of the subject responsible for the theft of game cameras and hunting boots. 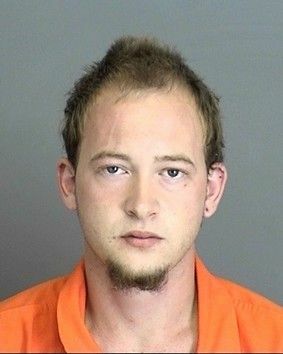 The subject was charged with Armed Burglary, Armed Trespassing, Grand Theft, Possession of Burglary Tools, Damage to Fence with Livestock and Criminal Mischief. Heartland Crime Stoppers paid out $5, 075.00 to sixteen (16) tipsters in November 2011. That is an average reward of $317.00 per person whose tip lead to an arrest. $1,880.00 Worth of Property Recovered in October 2011. For the month of October 2011, Heartland Crime Stoppers acted on 141 Tips which resulted in the clearance of 16 cases and the arrest of 14 people. We also recovered property valued at $1,880.00 and narcotics valued at $265.00. $1,880.00 worth of property recovered. $265.00 worth of drugs recovered. $3,750 paid out in TIPS for October 2011. The Heartland Crime Stoppers has paid out $3,750.00 to tipsters for the period of September 27, 2011 to October 24, 2011. These tips resulted in the arrest of fifteen (15) people on charges including battery, possession of drugs, armed burglary, outstanding warrants, and violation of probation. Don't let your community be riddled with crime. If you have any information on criminal activity in your community, you can report it and remain anonymous. You can also receive a reward of up to $1,000. Don't turn you head to crime. Be part of the solution to crime. Be a tipster. A tip was received on the TIPS line of subjects dealing narcotics from a residence. An investigation by Polk County Sheriff's Office Deputies resulted in a search of the residence where Methamphetamine, cannibis, and drug paraphernalia was found, and the home owner arrested. Student arrested at Lake Placid High School for Possession of Drug Paraphernalia. A tip was received that a student at Lake Placid High School was in possession of a glass pipe used to smoke cannibis. The School Resource Deputy conducted an investigation and located the pipe on the student in question, who was charged with Possession of Drug Paraphernalia. A student at Southwest Middle School reported another student was in possession of marijuana on the school campus. The School Resource assigned to the school conducted an investigation and located the marijuana in the student's backpack. The student, along with a second student, was arrested and charged with Possession of Marijuana (less than 20 grams). Bullying report at Lake Gibon Middle School results in arrest. A student at Lake Gibson Middle School reported that another student was being bullied by a third student. The incident was investigated by the Polk County Sheriff's Office School Resource Deputy assighned to Lake Gibson Middle School. As a result of that investigation, it was determined that the bullying student had battered the student, and the bullying student was charged with battery. Heartland Crime Stoppers has named A. G. "Chip" Brown, Jr. as the new Executive Director for the organization. Chip served with the Lakeland Police Department for twenty-nine (29) years, reaching the rank of Captain. His duties included Uniform Patrol, Motorcycle Unit, SWAT Team, Crime Prevention, Narcotics and Vice, and Domestic Abuse Response Team. As a Captain with LPD, he was the Commanding Officer of the Uniform Patrol Division. Later he took over as the Commanding Officer of the Criminal Investigations Division, and finally, as the Commanding Officer of Support Services Division. The idea for these playing cards to be distributed in the jails to inmates was started by Heartland Crime Stoppers. This idea was so well received by other organizations worldwide, the cards have been put in thousands of jails internationally. This article is proof that this idea which started by Heartland Crime Stoppers is bringing closure to victim's families everywhere! visiting the Iphone or Android Market and searching for TipSoft or TipSubmit. there's still a place for SMS text tips, our new TipSubmit Mobile application takes things to the next level of effectiveness and efficiency.